The Northern Alps are a land of 4,000 meter peaks where everything is on a grand scale. 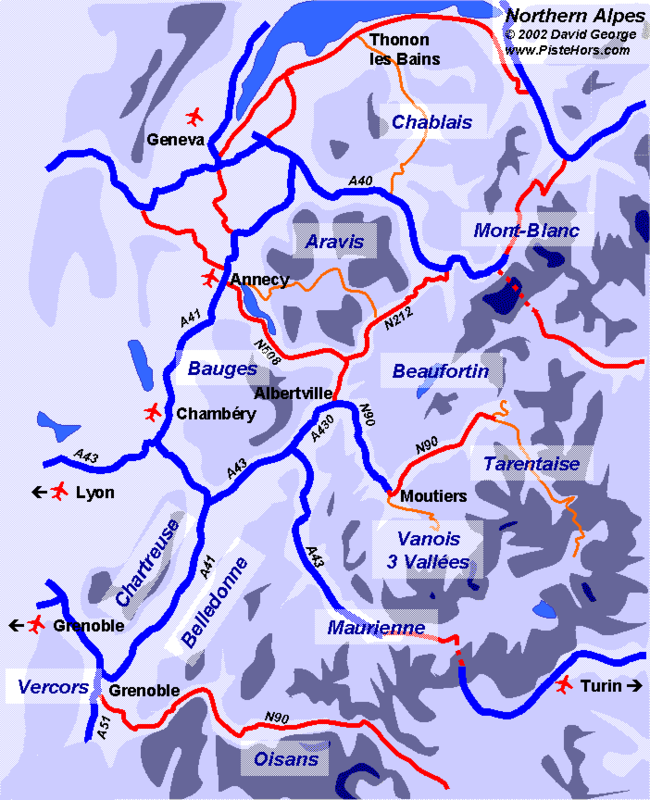 Each year the region welcomes over 7 million visitors to over 180 ski resorts from south of Grenoble to lake Geneva. Western Europe's highest mountain, le Mont Blanc at 4807 meters dominates the tiny alpine town of Chamonix Mont Blanc. Select the ski area that you want more information for from the map.